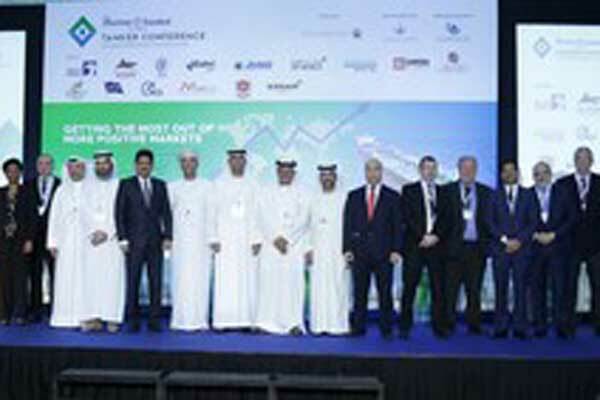 More than 220 delegates attended the recent TMS Tanker Conference, following its move to The Atlantis Dubai, in Dubai, UAE. The visitor numbers jumped 90 per cent, officials said. Trevor Pereira, managing director, TMS, said: “We moved the conference to The Atlantis to ensure not only that we could meet growing demand from the market, but also that the venue was really upmarket as is befitting for such an elite group of tanker industry professionals. “The big rise in delegate numbers shows this was the right strategy, but also how topical and relevant the topics on the agenda were in taking the event to a whole new level,” he said. This was the third annual tanker conference staged by The Maritime Standard and took as its theme Getting the most out of more positive markets. “Delegates were able to hear from a wide range of top quality speakers, with expertise in different aspects of the market, who suggested some interesting future-looking strategies designed to overcome any obstacles and ensure that all available opportunities in a market upturn are fully grasped,” he added. Keynote addresses were given by Sheikh Talal Al Khaled Al Sabah, chief executive of the Kuwait Oil Tanker Company and Dr Nikolas Tsakos, chairman of Intertanko. In addition, Shahab Al Jassmi of DP World stepped into give the keynote address for Abdullah Bin Damithan, chief commercial officer, DP World, UAE Region. The case for a more optimistic assessment of the tanker business was persuasively made by some of the most influential and expert figures in the business. These included Captain Abdulkareem Al Masabi, chief executive officer, Adnoc Logistics & Services; Captain Anoop Kumar Sharma, chairman and managing director, Shipping Corporation of India; Tarik Al Junaidi, chief executive, Oman Shipping Company; Khamis Juma Buamim, managing director and group chief executive, Gulf Navigation Holding; and Chris Peters, chief executive, E Ships. Other speakers who made a big impact, in discussing support infrastructure and services, included Petros Doukas, chairman, Capital Partners; Rajiv Agarwal, managing director and chief executive, Essar Ports; Tim Smith, director, Maritime Strategies International; and Gaurav Moolwaney, executive director, Standard Chartered. This session was chaired by Captain Jitendra Misra, from Emarat Maritime. Environmental regulations, safety and security remain hot topics for the industry and the third and final session kept people in their seats. Chaired by Ibrahim Fahmy, Adnoc Offshore, speakers included Captain Stephen Bligh, DNV GL; Waleed Al Tamimi, chief operating officer, Tasneef; June Manoharan, regional director, Lukoil Marine Lubricants; Captain Tony Field, Lloyds Register; Peter Sahlen, R&D manager, and Roger Harfouche, regional director, Marlink.